Have you ever found yourself getting so caught up preparing the inside of a property for an open house or showing that you have completely forgotten about the garden outside? Properties with a gardens can be used to your advantage. Having a garden means that the buyer would have easy access to fresh produce that they would normally have to pay for at the grocery store. Make the garden look clean. This means picking up accessories (hoses, rakes, tools in general) and making sure that there aren’t excessive weeds or leaves distracting a buyer from the advantages of having a source of food right in their own back yard. A tidy garden can often times arouse a feeling of confidence in the way that the home was taken care of as well as the property. Lush gardens should have a lot of green. Don’t just plan for pre-grown flowers, plant evergreens and leafy foliage plants as well. Layering the plants and flowers will make your garden look a lot more full. Additionally, using plants that have textured leaves, or plants of different heights, will add to the lush look of your garden. Pro Tip: Plants in gallon containers might cost more, but they fill in faster. Add flowers or plants that make the garden small nice. Whether it’s the smell of fresh lavender or other herbs such as mint and basil, your client’s garden should radiate with a fresh and fragrant smell that leaves them wanting more. Add vibrant additions to the surrounding area. Add some pots of colorful flowers to lighten dark areas if there aren’t any colorful flowers already planted in the garden. You can also use colorful containers and furniture to create a bright, bold look. 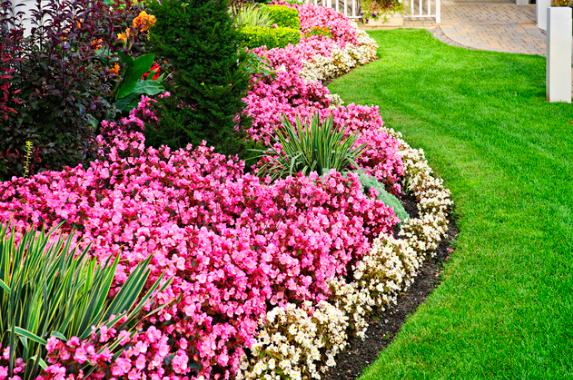 A colorful garden can often times complete the package and sway the buyer’s decision. It’s okay to add a touch of fun. Add some garden gnomes or stone animals peeking out between pots. The garden might not be the main focal point of the home, but it could be one of the most exciting parts. Leverage Pinterest to find some creative ways to quickly add to any garden. The desire for fresh food continues to go up, but sometimes residents don’t have the income to support their desires. Their solution is having a garden with fresh fruits and veggies right in their own backyard. Your client’s listing ready garden should leave buyers feeling impressed with a home and garden package. A well maintained garden can make a huge difference in the saleability of a home. Are Your Listing Pictures Costing You Sales?